The TAX-FREE SHOPPING GUIDE was introduced in Matcha, a web magazine for overseas tourists interested in Japan. Please Enjoy Shopping in Japan! This is the first and only app dedicated to tax-free shopping in Japan. It was created to help our Asian guests enjoy a seamless and satisfying shopping experience. Available in four languages and organized into 22 shopping categories, the app is packed with specialized and regional information. If you’re coming to Japan, make sure to bring your smartphone and download this app before you arrive. 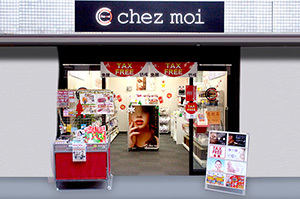 Chez Moi, a cosmetics store in Shinsaibashi, was registered in the Kansai guide. Kyoto Otsukemono Masugo located in Kyoto’s Nishiki Market was registered in the Kansai guide. A recommended shop was added to the KANSAI TAX-FREE SHOPPING GUIDE. 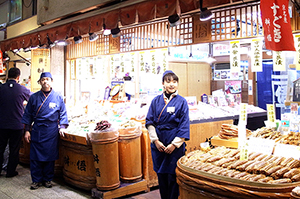 Android Version 1 of the TOHOKU TAX-FREE SHOPPING GUIDE was released. Android Version 1 of the KYUSHU TAX-FREE SHOPPING GUIDE was released. iPhone Version 1 of the KYUSHU TAX-FREE SHOPPING GUIDE was released. Android Version 1 of the HOKKAIDO TAX-FREE SHOPPING GUIDE was released. iPhone Version 1 of the HOKKAIDO TAX-FREE SHOPPING GUIDE was released. iPhone Version 1 of the TOKYO TAX-FREE SHOPPING GUIDE was released. Android Version 3 of the KANSAI TAX-FREE SHOPPING GUIDE was released. 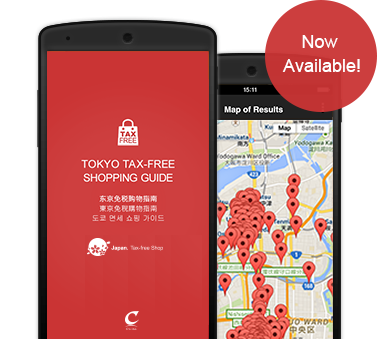 Android Version 2 of the TOKYO TAX-FREE SHOPPING GUIDE was released. Android Version 2 of the KANSAI TAX-FREE SHOPPING GUIDE was released. iPhone Version 1 of the KANSAI TAX-FREE SHOPPING GUIDE was released. Android Version 1 of the KANSAI TAX-FREE SHOPPING GUIDE was released.